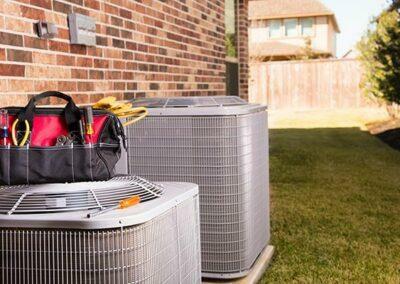 Advanced Air Systems, Inc. is a full service heating and air conditioning contractor serving Vancouver and surrounding areas with high-quality, affordable heat pump installations. We are part of the Clark Public Utilities Contractor Network, providing products and services eligible for Clark Public Utilities rebates and incentives. With so much interest these days in saving energy and lowering utility usage in your home, it’s hard not to hear about heat pump systems. According to Clark PUD, heat pumps can save up to 50% on home heating bills because they deliver energy more efficiently than other sources. And with over half of the energy usage in your home going towards heating and cooling, many savvy homeowners are taking notice. It’s true that installing a heat pump in your home can save money in energy costs and provide your family with heating during the winter and air conditioning in the summer! But many wonder how a heat pump works. Even during the cold weather, there is still heat in the air outside and heat pumps take advantage of this resulting in a low-cost way to heat our home. A Heat pump works the same way that an air conditioner works, but it has a reverse cycle that extracts heat from the outside air and transfers it inside. For a more detailed explanation and visual example of how a heat pump system works to heat and cool your home, check out our virtual showroom. 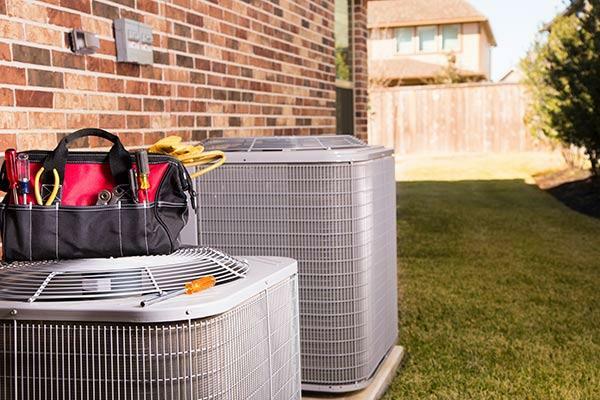 A heat pump is a smart choice if you are interested in efficiently heating your home and having the added bonus of air conditioning in the summer! Even people that currently use natural gas to heat their homes can take advantage of a heat pump; this is called a hybrid system. Because the cost of energy is always fluctuating, hybrid systems (a heat pump system with a gas furnace as the auxiliary heat) allow a homeowner to take advantage of the most cost efficient fuel for heating their home depending on current energy prices, outdoor temperature and other environmental factors. The first step in deciding whether a heat pump is right for you is to meet with one of our Comfort Consultants who can take a look at your current heating/cooling system and show you the different options available and how they might affect your energy bill as well as the comfort inside your home. 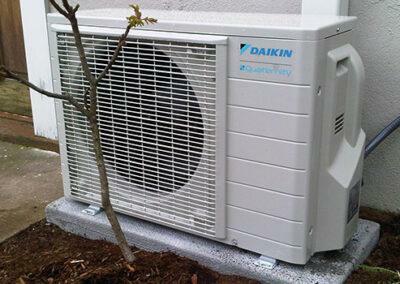 At that point they will also be able to provide you with a free quote for installing a heat pump in your home. 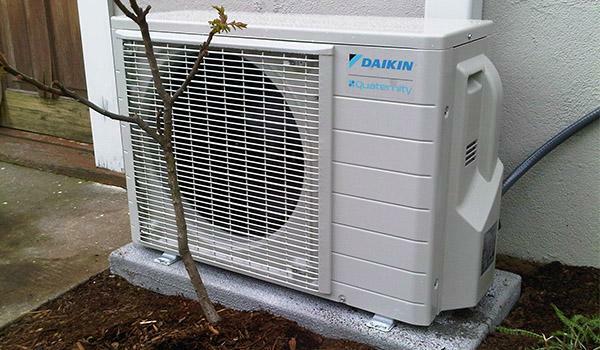 When comparing heat pumps, always look at SEER and HSPF. Seasonal Energy Efficiency Ratio, or SEER, measures how efficiently a heat pump cools your home in the summer. HSPF, or Heating Seasonal Performance Factor, measures how efficiently a heat pump warms your home in the winter. Similar to miles per gallon in a car, the higher the SEER and HSPF, the less energy you’ll use to stay comfortable. 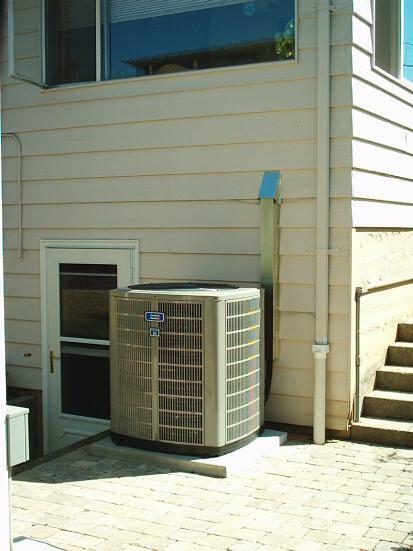 Why choose Advanced Air Systems as Your Heat Pump Contractor? Advanced Air Systems, Inc. is a third-generation heating and air conditioning contractor who has been proudly serving Vancouver, WA and the surrounding area for over 20 years. We are licensed, bonded and insured and strictly adhere to local codes and best practices when serving our customers. We are highly trained and knowledgeable in our field, but the most important thing that you will notice from the very first time you call our office that our greatest strength is the fantastic staff in our office and in the field that truly care about the work we do. You can experience this commitment for yourself by calling to schedule an appointment for a free in-home estimate with one of our knowledgeable Comfort Consultants. They will be able to answer your questions about heat pumps, help you find the best solution for your home and provide you with a quote for installing a heating system in your home, at no cost to you.